The Graduate Program in Interdisciplinary Studies is a pan-university Graduate Program that provides highly motivated students with an opportunity to pursue individualized, independent, innovative and rigorous research in a wide range of disciplinary combinations. IS is an intentionally small program that attracts high quality students with far reaching scholarly interests and perspectives. 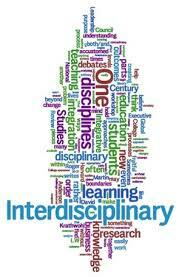 Interdisciplinary Studies strives to enable students to integrate disciplinary insights, questions, approaches and foci in order to develop innovative solutions to complex problems. At York, the combinations you may propose are endless for we invite scholars from every faculty and program to join relevant supervisory committees. If you have a complex social question, problem or area of scholarly interest and wish to explore it through not one but three disciplines/fields of study, IS may be for you. If you have drive, maturity, and self-directedness, IS may be for you. If you would welcome input and guidance from three wise scholars, IS may be for you. Pop over to the next two sections of our website and listen to current IS students talk about their areas of inquiry and why IS was for them. Afterwards, have a listen to current IS faculty reflect upon what Interdisciplinary Studies is and their experience supervising students. You'll be glad you did!